Stanley Kubrick’s Barry Lyndon is a key 18th-century costume movie for a lot of people, both costumers and film geeks. And, I have put it off for YEARS. Not because it doesn’t look visually very appealing, but because I had been warned that it is SLOW and LONG. I can have a really hard time with art films that don’t really go anywhere and take their time while they’re doing it, so while I would always say, “I need to watch it, I know!” I somehow never quite got around to it. 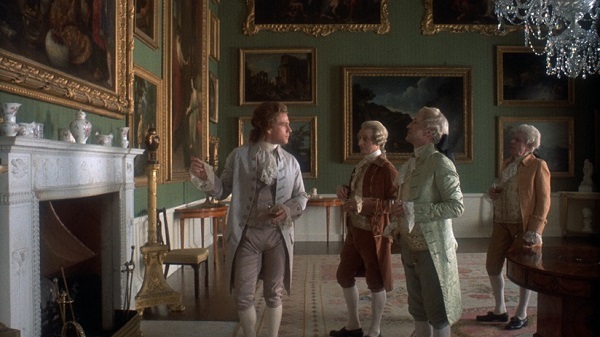 Enter The Quest — to see as many 18th-century costume movies I can get my hands on — and I was in the mood to be a slug on the couch, so it was time to watch Barry Lyndon. The film geek husband was very impressed. So now, I offer you my Barry Lyndon costume movie review! First, I was wondering why Kubrick would want to make this movie, given 2001, The Shining, A Clockwork Orange, etc. It turns out that he had been planning to make a film about Napoleon and had done a ton of research, but another film on the topic was released right as he was going to get going (Waterloo), and this other film flopped. So Kubrick wanted a way to use all that research. He turned to a novel published by Thackeray (author of Vanity Fair) in 1844. The story tells the “life” of fictional Barry Lyndon, a poor-ish Irish young man who (spoilers! highlight for my one sentence synopsis) gets his heart broken, joins the British army, goes AWOL, gets commandeered into the Prussian army, befriends a Prussian officer, becomes a spy, becomes a card shark, marries an English noble, gets really depraved, and ends up with nothing. The costumes were designed by Milena Canonero (Marie Antoinette 2006, The Affair of the Necklace) and Ulla-Britt Söderlund (a Swedish designer who mostly worked on productions from that country), and they won the Academy Award that year for best costume design. The team working on the hair included then-celebrity hairstylist Leonard of Mayfair. The first half of the movie is pretty boy-centric, with lots of military uniforms that looked fine to me (I’m sure the military reenactors could tell us if they got anything wrong). Once Barry meets Lady Lyndon, we get a whole lot of nice 1780s dresses and HUGE hair, mostly on her. I really liked the costumes, although a few of Lady Lyndon’s dresses seemed a little skimpy. 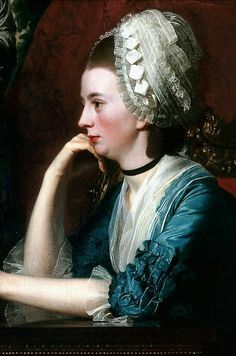 Lady Lyndon’s hair was gorgeously huge and 1780s appropriate, except in one scene where she randomly wears a late 1770s high style. The men’s hair was very good, except for a few too many layered cuts in the front part of the hair. Note to costume designers: 18th c. men’s hair is NOT a modern layered cut with a long tail or a mullet. Yes, the front hair usually was cut shorter, but it’s not a modern layered cut. I didn’t LOVE Ryan O’Neal as Barry, although not for any real reason other than he reads very American to me. He certainly did a passable Irish accent, and I’m sure back in the day he was a box-office draw, but now he just seems so cornfed. Barry’s first love, a simple Irish lass with a simple outfit to match. In the army now: lots of red uniforms for the Brits, and blue for the Prussians. Barry’s protector rocked the fop makeup and patches. But, could The Duchess dress be remade from the Barry Lyndon dress? They both have similar colors, similar stripe widths and placements, and that thin red stripe. Main difference would be the angles of the stripes on the bodice front. Wish I could see a fabric closeup of the BL dress! This was the one dress that I really wanted to see more of, but it’s only in the quickest of shots. Because, STRIPES! Nice cut on Lyndon’s hair, for once! Modern layered cut/mullet on Barry. Gorgeous hat on Lady Lyndon — which was reused in Marie Antoinette. Most of the non-lead characters had good wigs. LOVE the pale green suit. This bathing cap annoys me. It seems very 1970s Great Gatsby. Am I crazy? Straight outta Hogarth – love! However, I find this hair deeply offensive. 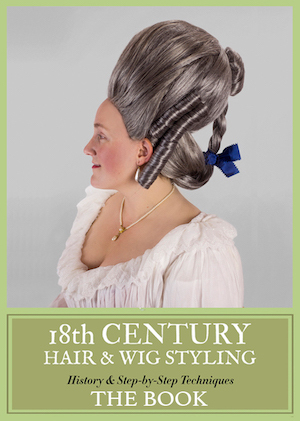 Lady Lyndon’s 1780s hairstyles were HUGE and WIDE and STRUCTURED. LOVE. But her hair wasn’t always crazy! This is a softer curl. Love the orange dress. It’s the 18th century. Of course there must be decorous sheep! Some of the costumes still exist, and were exhibited at LACMA a few years ago. This dress is gorgeous, if you can ignore the slubby silk. I love the combination of silver with the sheer sleeves and black velvet sash. More costumes from the film. Definitely see it once, but once is enough — unless it’s been a long time. Wish he had made the Napoleon film. Audrey Hepburn was supposed to play Josephine – what kind of flawless casting??? Probably the greatest historical epic ever made, at least in my estimation. Melancholic, tragic, beautiful, haunting, philosophical, political, existential, cruel, but with tiny slithers of softness and heart. 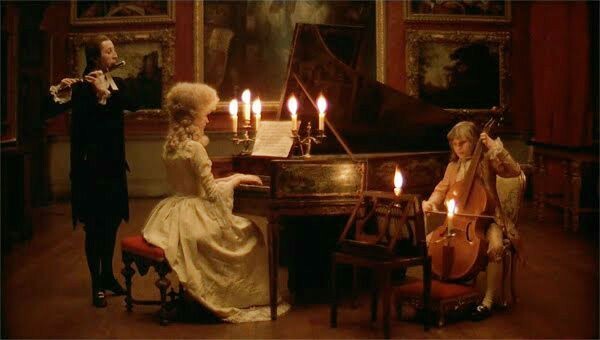 There is a scene in Barry Lyndon where an actress wears a laced up in the back dress. I am glad you ladies point this out about laced up in the back dresses and visible grommets. Hell I have learned more off this website than all my years in school. No. The same thought had passed through my mind. It’s actually a scaled down version of a late 1780’s cap. BTW, this movie destroyed Ryan O’Neal’so career. I’m not sure why, I didn’t think he was that bad.